It’s 2018, And everyone is looking for the best smartphone, that can capture pictures like DSLR. And smartphone manufacturer companies also trying to launch good camera smartphone. Recently, honor company launched four camera lens smartphone, that can capture portrait images from the back and rear camera. With new updates, Companies are also trying to provide best features in their camera app. But several users also facing an error “Unfortunately Camera has stopped” while launching the Camera app. I have faced the similar issue in my Redmi Note 3. And I have seen on few “internet forum” many Samsung & LG g4 users also facing same error. 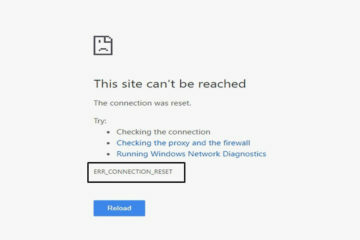 This error can occur due to multiple reasons, And we will try to figure out in this article. Also, I will try to provide every possible solution in this article, to fix phone camera app. Why “Unfortunately, Camera has Stopped” error occurs?. Mainly, this error can occur due to hardware or software issue. Sometimes this error occurs when you install third-party camera app, which is not supported by your device hardware. Or if your device camera is internally damaged, then also this error can occur. It’s hard to figure out, what is the exact cause of “unfortunately, the camera has stopped ” error?. But still, you can fix camera app by trying out these working solutions. 1 Fix “Unfortunately Camera has stopped”. 1.1 Solution: 1 Restart your device. 1.2 Solution: 2 Restart the camera app. 1.3 Solution: 3 Uninstall other camera Apps. 1.4 Solution: 4 Clear cache and data of camera App. 1.5 Solution: 5 Clear or wipe system cache. 1.6 Solution: 6 Update your device software. 1.7 Solution: 7 Flash Stock ROM. 1.8 Solution: 8 Install Google Camera App. 1.9 Solution: 9 Reset your device. 1.10 Conclusion : unfortunately Camera has stopped. Fix “Unfortunately Camera has stopped”. Solution: 1 Restart your device. 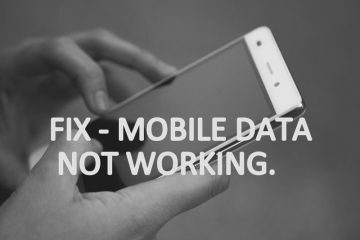 This solution sounds too common, but most of the smartphone problem can be solved by restarting. Restarting the device, will terminate all background running process related to the camera app. So, If any other app is using your main camera app, then this solution is helpful for you. But, If after restarting the device, still problem doesn’t get resolved, then there is some glitch in the camera app. Solution: 2 Restart the camera app. Sometimes when you open the camera App, and leave it in standby mode for too long, then also device show this error. If the first solution doesn’t resolve your issue, then this solution can be. Here I am not talking to close and reopen camera app. 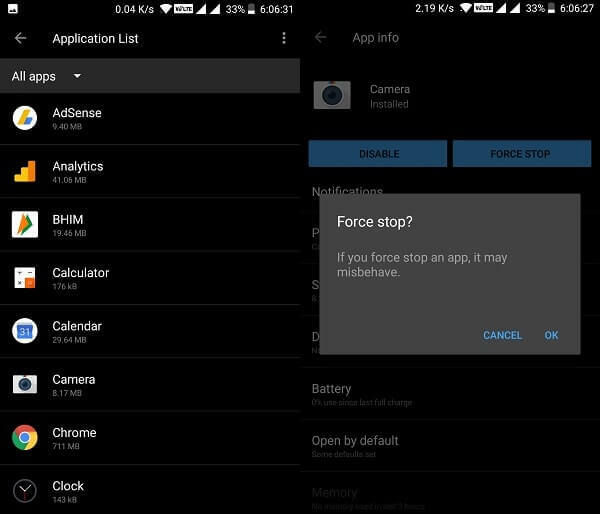 To solve this unexpected error you need to force stop the camera app. – Open device settings > apps > application list. – Now, look for the camera app and tap on it. – Tap on “force stop” button then tap on ok, to stop all camera process. Wait for 30 seconds now, and then open the camera app again. And hopefully, you will not face any error again. Solution: 3 Uninstall other camera Apps. Are you using any other camera apps?. Then this could be the reason behind “Unfortunately Camera has stopped working” error. Because, if you’re using any third party camera app, then those apps can tries to stop or use your main camera app. By uninstalling those apps and restarting your device, you can solve this error. Or, If none of the third-party camera app is installed on your android device, then try next solution. Solution: 4 Clear cache and data of camera App. This is the universal solution which applies to every Android app, which shows, “App has stopped working” error. And, the Camera app also showing same error, and you can fix it by using this solution. 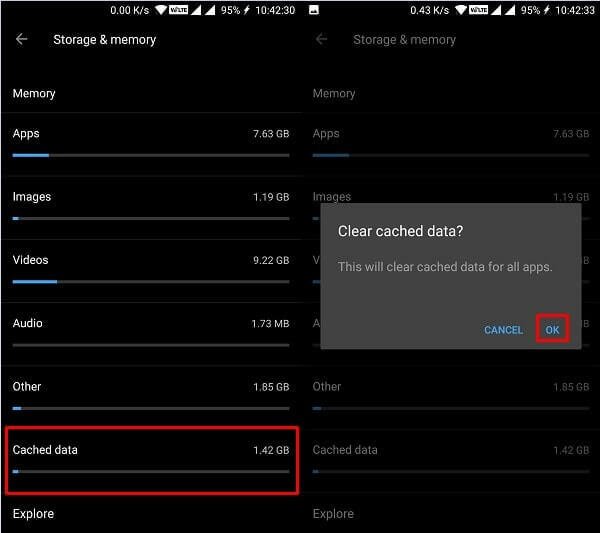 By clearing app data and cache, you can reset app to its default settings. 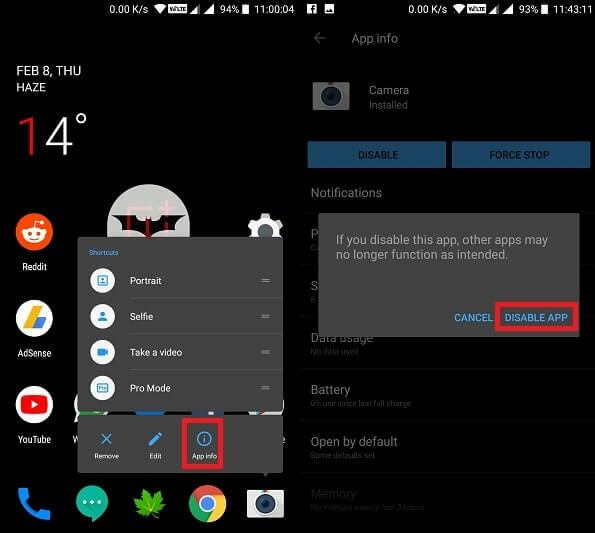 – Go to Android Settings > Apps > Application List. – Tap on the Camera app, then tap on storage option. – Now, you will get clear data and cache option. First, use “clear cache” option to remove all cache files from the camera App. If after deleting the cache files, Camera app still not works then you can try deleting app data. And hopefully, After deleting camera app data, your problem will get resolved. 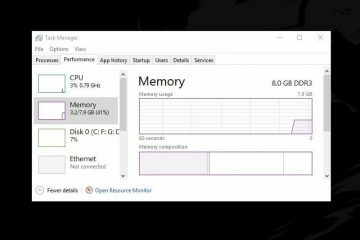 Solution: 5 Clear or wipe system cache. 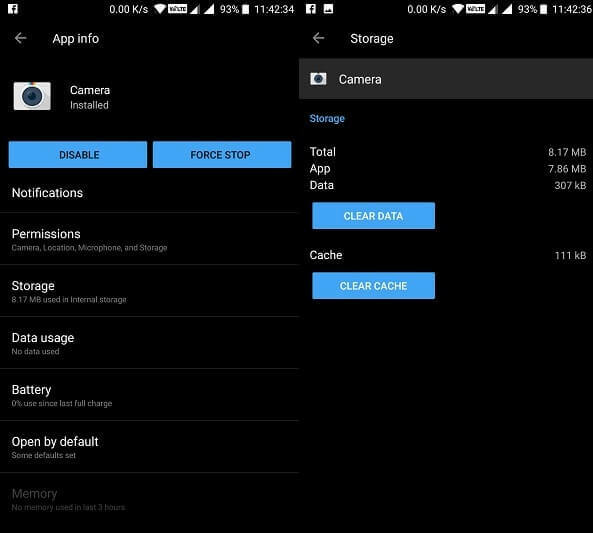 If clearing camera app cache and data doesn’t resolve your Problem. Then, you can try this solution to fix “Unfortunately Camera has stopped” error. Go to settings > Storage & Memory > Tap on Cached data option > Tap on OK to confirm. Solution: 6 Update your device software. If you have purchased device recently, then chances are high that system update is available for your device. As I mentioned before, many smartphone users facing the Similar issue. So companies are trying to provide camera patches in system updates. Or if you have updated your device software recently, and camera app showing unexpected error. Then you can use the 5th solution of this Article. And can wipe cache from recovery to fix this error. Solution: 7 Flash Stock ROM. Personally, I have faced this error after flashing custom ROM in my Redmi Note 3 device. If you have flashed any custom or ported ROM and facing this error, then you should install stock ROM. Or if you’re already using stock ROM, and flashed some unknown zip file through custom Recovery. Then go to your device ROM download page, and then download and flash ROM by using given instructions. Solution: 8 Install Google Camera App. If the above mentioned solutions, unable to fix “Unfortunately Camera has stopped” error. Then you can download Google Camera App File, And can use it as primary Camera App. But before downloading and installing latest camera app file, you need to disable your stock camera app. Unfortunately, Google camera app currently not available on Google play store. But still, you can download it, using some sites that allow Download Old version of Android Apps. Solution: 9 Reset your device. If not any solution is able to fix camera not working issue. Then you need to reset your device to its default settings. Personally, I don’t recommend this method, so first try all mentioned solutions in this article. 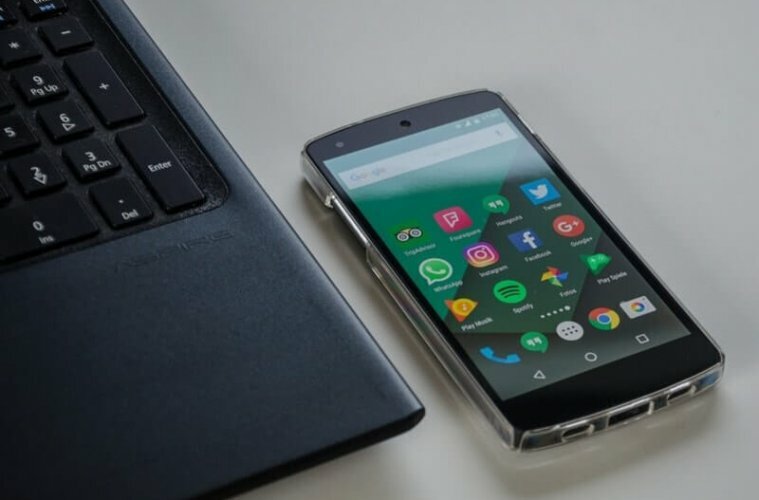 Before resetting your Android device, make sure you have created an android backup to keep personal data safe. 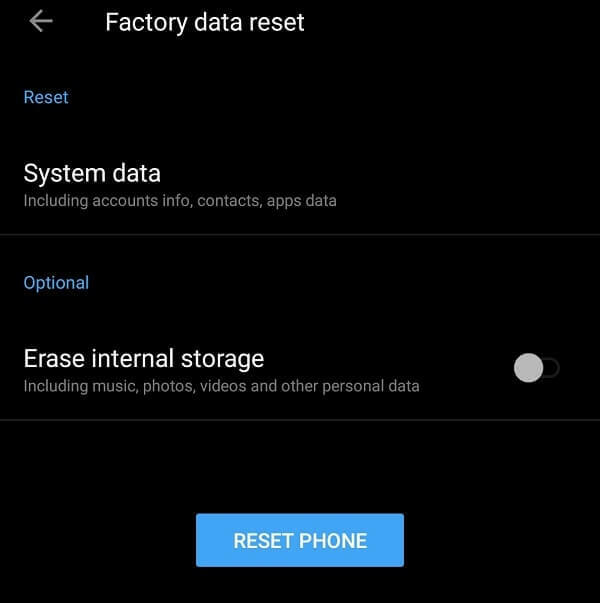 After creating backup now go to Settings > Backup & reset > Factory data reset > Reset phone. Conclusion : unfortunately Camera has stopped. So these are the solutions, which you can use to fix any camera app related problem. In most of the cases by clearing app cache and data problem get resolved. But if still, Camera app shows any error, then maybe there is some glitch in your smartphone camera app. That can only get resolved, by resetting the device, or by replacing camera app with Google Camera App. If you know any other better solution to fix this error, then feel free to comment. Previous ArticleEasiest ways to fix com.android.phone has stopped. Next ArticleGet Payment Option in WhatsApp – Add Bank Account & Send Money. you can also do one thing; step 1- turn your phone off;step 2- pull your memory card out clean it with a dry cloth, then put it in your phone. IT’S SOLVED!!! 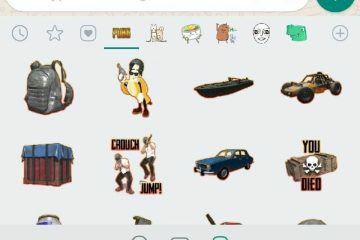 This works most of the time in my phone. TRY IT ! It may help u.